Perfect for decorating outdoor events, tents and indoor events. The 100 foot long strands have 75 light sockets and the 57 foot strands have 45 light sockets and come with warm LED Bulbs to be energy efficient but still have a warm look and feel. 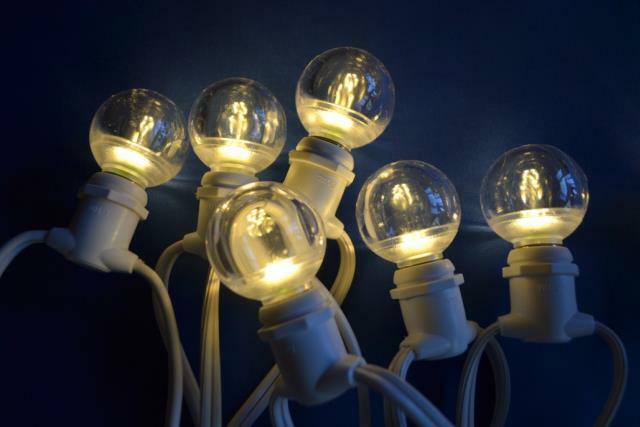 Each bulb measures 1 1/2 in diameter and has an equivalent brightness to a 7 watt bulb. 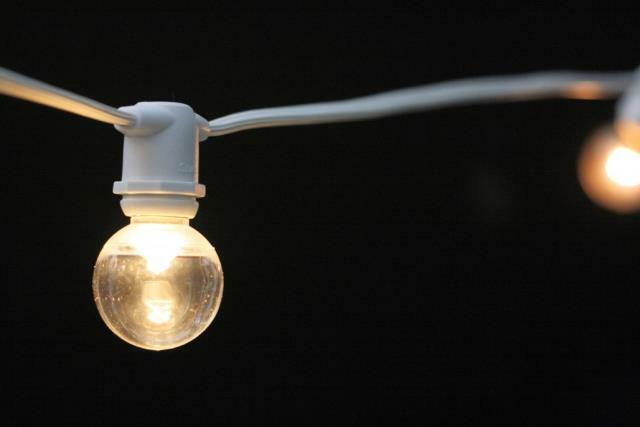 The Bistro Light strands are available in either 56 ft. or 100 ft. lengths. You can connect the 56 ft. strands together up to 10 strands or 560 ft. The 100 ft. lengths are not end to end connectable and only have a male plug. * Please call us for any questions on our bistro lights rentals serving Corvallis OR, Albany OR, Salem OR and surrounding areas.